The highly accurate GPS 19x HVS position receiver/antenna provides up to 10 Hz update rates for position, velocity and time data. 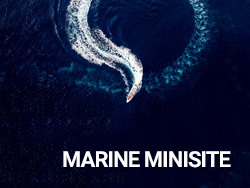 It offers high-sensitivity reception and enhanced position acquisition to the Garmin family of marine multifunctional displays (MFD), instrument display and autopilots. This 32-channel receiver is capable of tracking multiple global navigation satellite systems, including GPS, GLONASS, Galileo¹ and QZSS¹. Since more satellites are visible, it can provide more accurate fixes in challenging conditions. With its enhanced position, heading and speed accuracy delivered up to 10 times more often than other receivers/antennas, it provides smoother drawing of your position on the chartplotter/MFD at higher speeds. 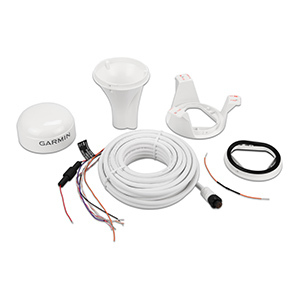 Part of the Garmin marine instrument family, the GPS 19x HVS is built to withstand the elements. This waterproof (IPX7) sensor can be pole mounted or flush mounted. It also can be attached to the underside of many fiberglass decks for added ease of installation. In addition, it also can be configured to have a 1 Hz or 5 Hz update rate to help support specific installation requirements.